Sony's latest flagship device, the Xperia Z3, comes just six months after the Xperia Z2. However it boasts a huge range of exciting features and top of the range tech that helps explain why Sony is so quick to move on to bigger and better smartphones. The Xperia Z3 is currently priced at around £400 to £500, depending on where you look. This places it firmly in the high-end flagship market with the HTC One M8, Samsung Galaxy S5 and the iPhone 6 for company. This is tough competition, so the Xperia Z3 finds itself having a fight on its hands to prove to us that it's worth buying. Water, dust or sand? Bring it on! There's little worse than paying an outrageous sum of money for a new smartphone, and then being too scared to take it out. The Xperia Z3 not only feels like it's pretty robust, with nylon corners that help prevent it denting if dropped, but Sony claims it is one of the most waterproof and dust resistant phones you can buy. It's IP65 / IP68 rated which means it can spend up to 60 minutes submerged in two metres of water. Although it means you shouldn't go diving with it, if you get drenched on a rainy walk home, or jump into a swimming pool without checking your pockets, you won't need to make a frantic call to Sony's customer support. It's also IP6X dust rated as well, so it's able to cope well in dusty and sandy environments. If you're a keen gamer than the Remote Play feature is one of the Z3's most exciting features. It lets you stream games from the PlayStation 4 to the Sony Xperia Z3 via your home Wi-Fi connection. It's an excellent feature if someone else is hogging the big TV, letting you carry on your killing spree in GTA V on the small(er) screen. Other Sony handsets like the Xperia Z2 and Xperia Z3 Compact have the feature, but with the vibrant and large 5.2-inch full HD screen, the Xperia Z3 is the best place to experience Remote Play. The Sony Xperia Z3 is a great-looking handset, and has benefited from a number of tweaks and improvements since its predecessor, the Xperia Z2. It's kept the same overall industrial design (termed OmniDesign by Sony), but has shrunk the chassis down slightly, giving more prominence to the excellent screen and making it less bulky to hold. A weight of 152g makes it feel sturdy but without weighing you – or your pocket – down. The rounded sides of the Z3 help the phone to feel good whilst gripped in your hand. Make no mistake though, this is still a pretty large handset with dimensions of 146 x 72 x 7.3 mm. If you've got small hands then you'll probably struggle reaching all corners of the touchscreen. The Xperia Z3's screen looks genuinely stunning thanks to Sony's expertise in screen technology, no doubt culled from years making all those lovely yet too expensive Bravia TVs. At 5.2-inches the screen is an excellent size for watching media on, and with the display technology backed up by a full high definition 1080p resolution movies and photos look brilliant. Sony certainly seems to be pushing the Xperia Z3's photo prowess, with an impressive sounding spec sheet which includes an Exmor RS sensor, Bionz processor and G Lens technology. The camera itself is capable of 20.7 megapixels with auto focus and an 8x digital zoom. Sony has put a lot of thought into the camera app, and there are a number of features that can help make photos look great. The auto focus also does a good job of sensing what conditions you're taking a photo in and changes the settings accordingly. The Xperia Z3 is also capable of taking videos at 4K, which is yet another nice tick on the specs box, though one that might not be used by that many people at the moment. It doesn't help that the Z3 tends to get rather hot when recording at 4K, leading to the camera app crashing, which could put off prospective 4K Spielbergs. An apologetic message appears saying the camera needs to cool down, but in an expensive premium phone like the Z3, that doesn't excuse it. The Z3 is a fine phone, with the sound quality of phone calls very good both indoors and out. Extra features have been included to improve the sound quality of calls, and though they are hidden away in the sometimes labyrinthine menus of the Xperia Z3's interface, they are worth tracking down and at least playing with. Text messages on the Xperia Z3 are handled by Android's default messaging app, so if you've used an Android device before, then you'll already have a pretty good idea of what's in store. Internet browsing is also an essential part of the smartphone experience, and the Xperia Z3 does it very well, with Chrome being the default browser. The large 5.2-inch display and 1080p resolution makes reading web pages a joy thanks to the increase in screen real estate which means you don't have to worry about zooming in on incomprehensible text. Browsing over both Wi-Fi and 4G LTE is fast and responsive. The only niggle we found here is that the body of the Xperia Z3 tends to get pretty warm when browsing. All day use – and more! The Sony Xperia Z3 has an excellent battery life, with the handset easily lasting a day during normal use. This can be boosted further by using the Stamina Mode, which turns off some features and can give the Z3 an extra day of life, if not even a bit more if you're careful. It can easily outlast the iPhone 6 and its predecessor the Xperia Z2. While the battery performs well in a lot of cases, when using the screen often we found that the battery does tend to drop faster. The Z3's screen is much brighter than its competitors, which looks great but ends up being a real battery guzzler. Browsing websites with bright backgrounds turned out to be a real battery killer, with five minutes of browsing depleting 9% of the Z3's battery. Throw in some pictures, videos and animated GIFs of cats falling off things and you'll quickly see the Z3's battery drop when browsing. Playing games on the Z3 will also drain the battery pretty sharpish, especially with more graphically impressive games. Due to the technology involved, playing PS4 games via remote play is relatively easy on battery life, being more akin to streaming videos on Netflix. The Sony Xperia Z3 comes fully equipped with the Walkman app for playing music files. It's tightly integrated with Sony's music streaming service Music Unlimited, and proves to be a flexible and robust music player and comes with a widget that lets you control playback of audio files direct from the homescreen. Sony has also included a number of features to help boost sound quality, including a digital equaliser and an upscaler that boosts MP3 quality. The good news is that many of these settings do a really good job of making music sound more vibrant and clear. The bad news is that they are turned off by default, and that like the call quality options there are buried under a number of confusing menus. The Movies app is very similar, and is also integrated with Sony's Movies Unlimited service. The Sony Xperia Z3 is packed full of fantastic specs, including 3GB of RAM, a quad-core 2.5GHz processor and an excellent Adreno 330 GPU. These specs might bump the price of the Z3 up, but they do result in a handset that offers excellent performance. The Android operating system felt fast and responsive when used, with barely any pauses when loading up apps or switching between them. Gaming is also handled well with graphic-intensive games like EA's Real Racing 3 looking and running really well. Once again the vibrant screen and full 1080p resolution is a big benefit to how good modern mobile games look. 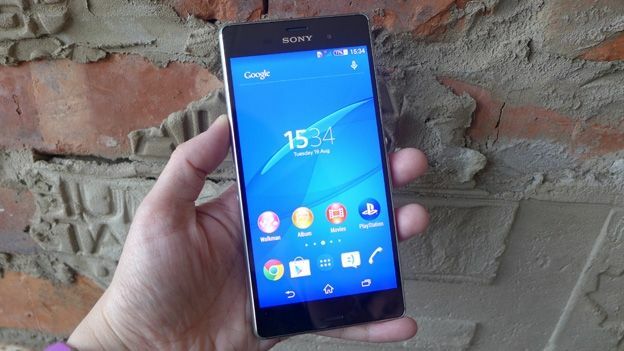 A lot of Sony's mobile hopes lie on the success of the Xperia Z3. It has built an excellent smartphone with some truly superb specifications and a premium design that could make the Z3 one of the most desirable smartphones on the market. But does it do enough to help support Sony's faltering mobile ambitions? Sadly although there is an awful lot to like about the Sony Xperia Z3, there are a few too many little niggles that prevent it from being the best phone it could be. Little things like the camera app crashing might not seem that bad in isolation. However they do build up to undermine the Xperia Z3's flagship credentials. We can't imagine Apple releasing an iPhone with those kind of faults and Sony should be just as rigorous.